Maha Saman Devale, also known as Sri Sumana Saman Devalaya, is situated 2 km northwest of Ratnapura. The Sinhalese sanctuary of the regional deity protecting Ratnapura and Adam’s Peak is a typical Kandyan style temple. 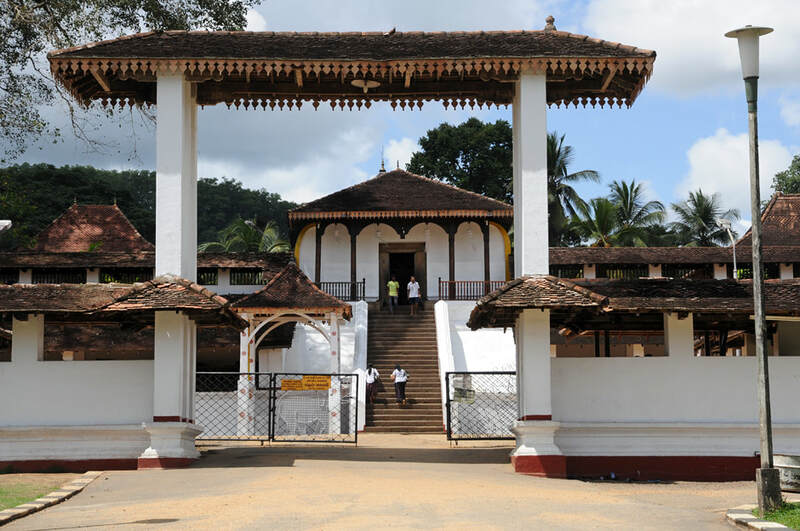 In fact, it is one of the largest Kandyan buildings, second only to the Temple of the Sacred Tooth Relic in Kandy. Perched on a mound, the Maha Saman Devale has a nice series of courtyards and whitewashed shrines with tiled roofs. Originally built in the 13th century, the temple was destroyed by the Portuguese in the 16th century and rebuilt by the kings of Sitavaka. The current structures are from the late Kandyan period. The main sanctuary in the very centre of the complex is dedicated to Saman, a former demon converted to Buddhism and now the protector of the southwestern hillcountry and Sabaragamuwa province. Side shrines honouring the Buddha and the goddess Pattini can be seen in the adjacent courtyards. The annual temple festival is held in the month of Esala. It is one of the largest pageants of Sri Lanka, less known to tourists. Those travellers seeking an experience of a genuine Sri Lankan festival without crowds of other foreigners, should consider to visit the Ratnapura Perahera. It usually takes place in the first weeks of August.